Before we perform any operations like click, set text, etc. 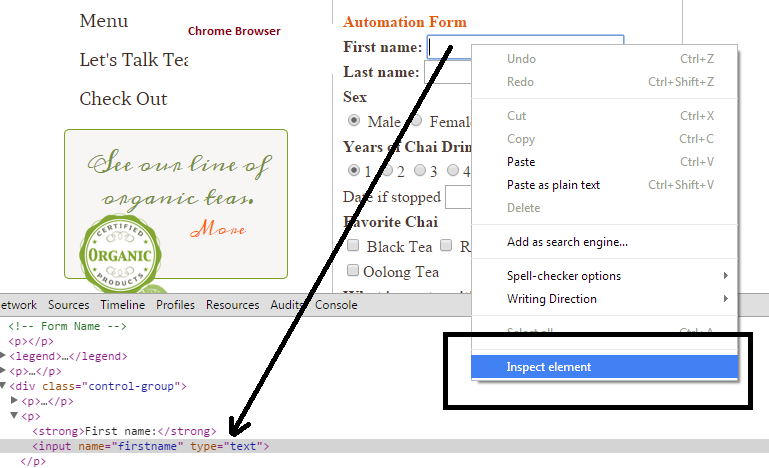 on web elements, we will need to identify the element on the web page. As we mentioned before, “identifying” means identifying it in the DOM and being able to specify our search criteria for the element so that we can find a unique match. You downloaded the project code base for have downloaded the Class1 code base: https://github.com/gmontalvo/SeleniumBasic. Lets hit the website http://www.practiceselenium.com/practice-form.html and right click on “firstname” text box and inspect element in Chrome browser. We can see the HTML representation of the text field “firstname”. To retrieve the HTML of IWebElement we print the attribute “OuterHTML” for the element. 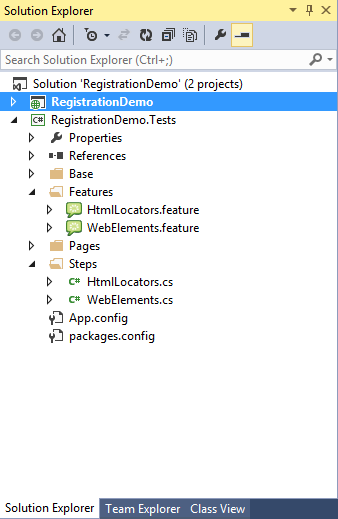 Let’s try to identify all elements on the above practiceselenium website and print its html. NOTE: Mapping 1-1 feature to step definition is not a good practice as per cucumber, but for now our focus is to learn selenium java api first, so we can refactor this code later.